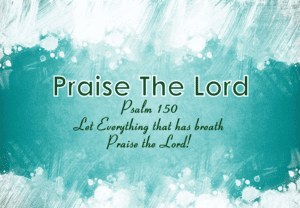 Here are some bible verses that you can use to praise the Lord! It is so important to focus our eyes upon Him in times of trouble. When we focus on Him in prayer and praise we are able to get the proper perspective on things and we are able to remain focused on our calling.